Still nothing exciting to add. 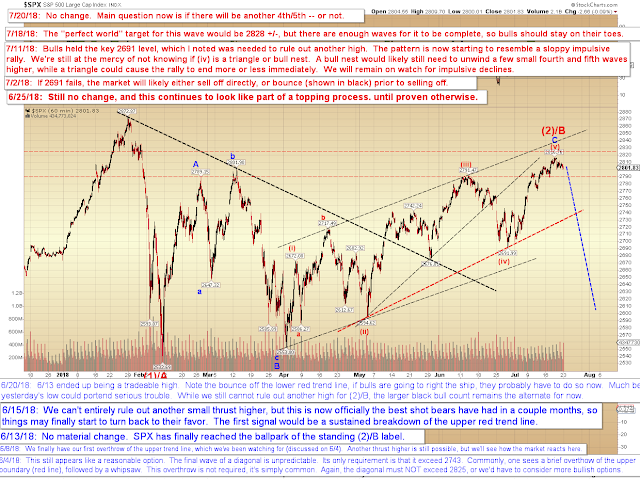 INDU's recent decline appears impulsive (small impulse), but SPX is only three waves down so far. 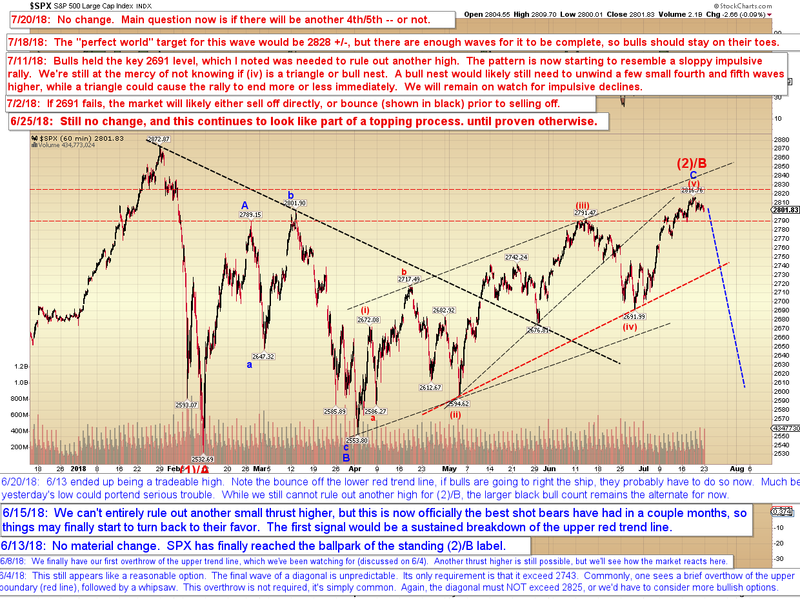 Even if the market forms another wave down immediately, it's too early to say if that will simply be wave C of a small fourth wave correction, or if it will be the start of a larger correction. Other than that, nothing new to add since the last few updates. Trade safe.